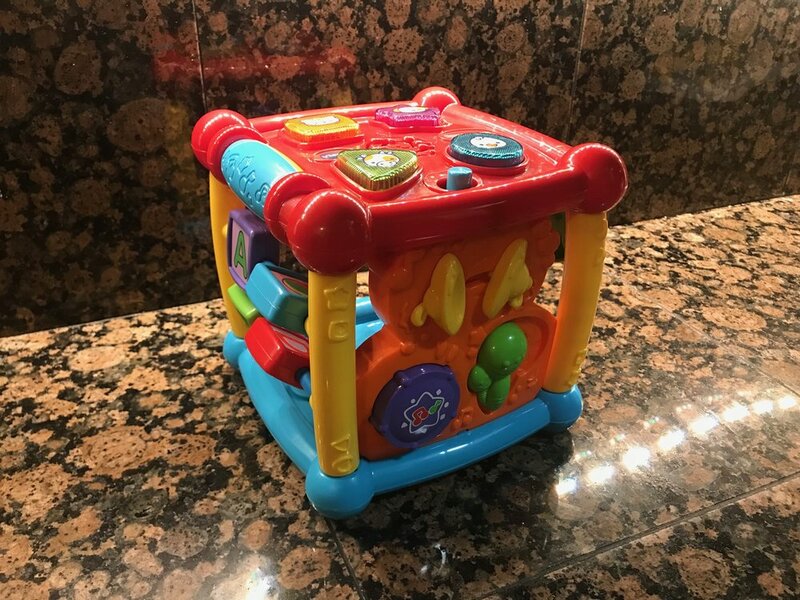 The V-Tech Busy Learning Activity Cube has 6 sides for kids to entertain themselves. It’s actually more like 5 sides, since one side is just number cutouts with no actual activities. One side has a lady bug - you spin the bug to get it up and down a vine. My boy doesn’t care much about that side. There’s a side with two spinners, which he does like, but doesn’t use very much. Rounding out the non-electronic sides is another spinner block side, which has four blocks featuring A, B, C, and D. On the top, there’s another lazily implemented spinner. There are two interactive electronic sides, one with four animal buttons that feature corresponding sounds, and one that features three instruments, also with corresponding sounds. The voices are clear and in high quality. 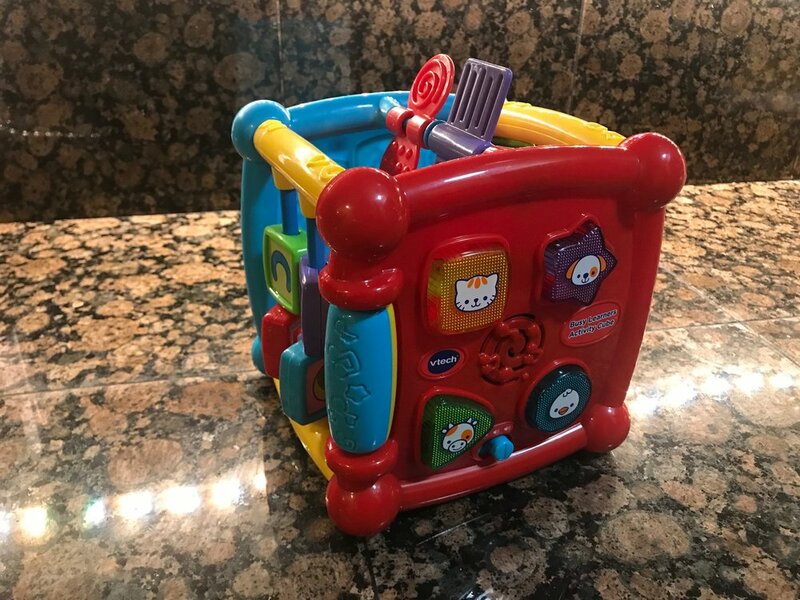 The toy can be used as a self discovery device or a quiz machine, with a voice asking your child which animal makes which sound, or which instrument makes the noise it’s featuring. Jackson really likes this toy because of how easy it is to hold. He doesn’t get much use out of the non-electronic sides yet, but he definitely likes the buttons. I can see him using this to learn the four animal sounds. It’s definitely an improvement over the last V-Tech toy I reviewed.